We recently turned our old office into a toy room and I love how it’s coming along! We originally had all the toys in a closet so it’s nice to have an actual space for them/the kids to play now. 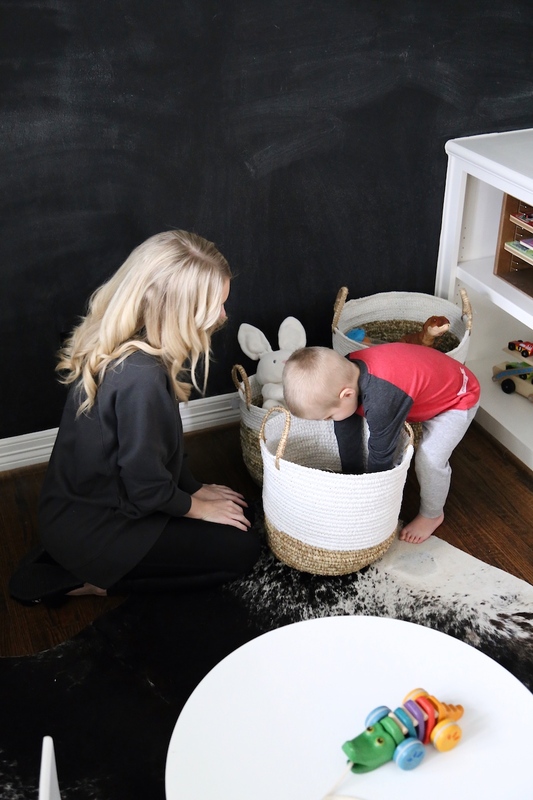 The transformation was pretty easy – we just ripped out the built-in desk and filling cabinets (which made the space sooo much bigger) and painted! I couldn’t believe how many cute things I found at The Home Depot for the room. Did you guys know they sell home decor? Because I didn’t until recently! I found the paint, decor, and plant all there, it’s a one stop shop! 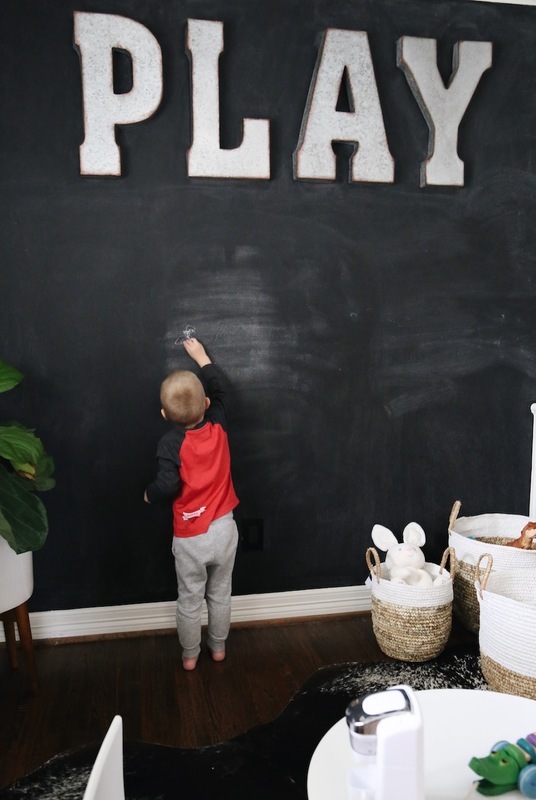 The chalkboard wall gets so much use – Cam seriously loves it (and not going to lie, I do too ha!). This is the paint we used. It goes on smooth and we had to do 3 coats. 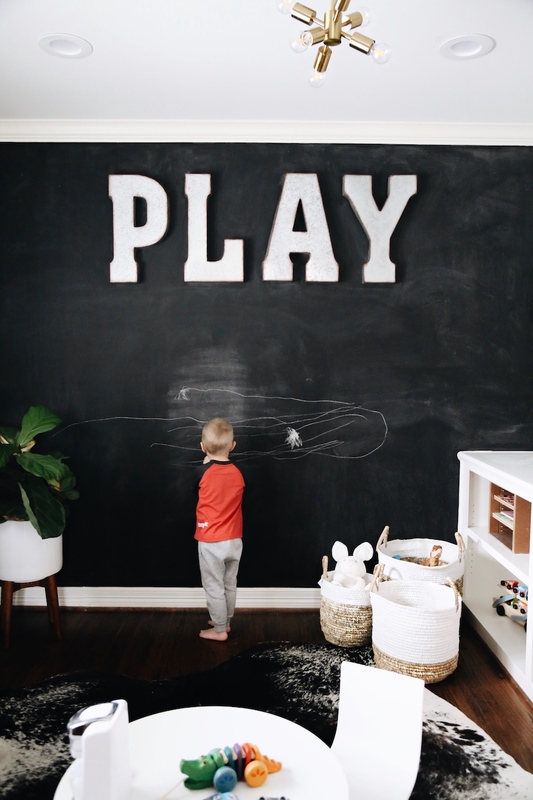 This magnetic board is so cute! I just ordered a couple pictures of the kids to hang on it. The Home Depot has so many cute storage solutions! 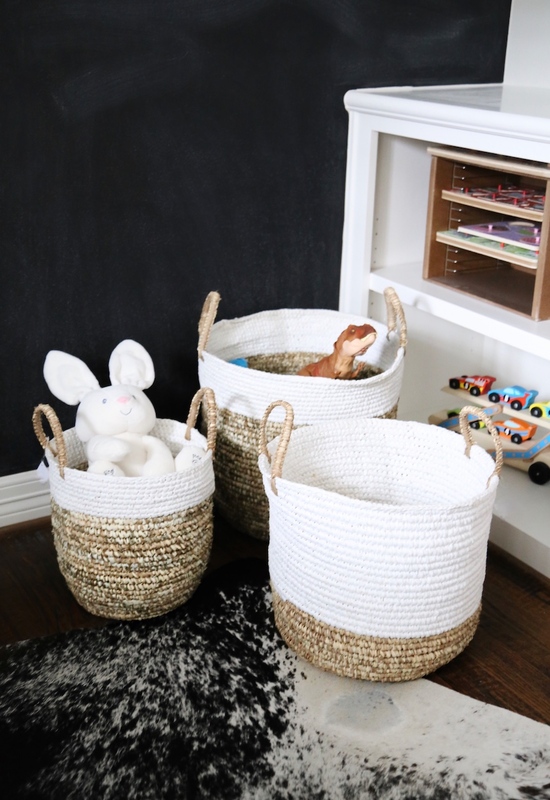 I got these woven baskets (they come in a set of 3) to store toys in. I also love these and these! 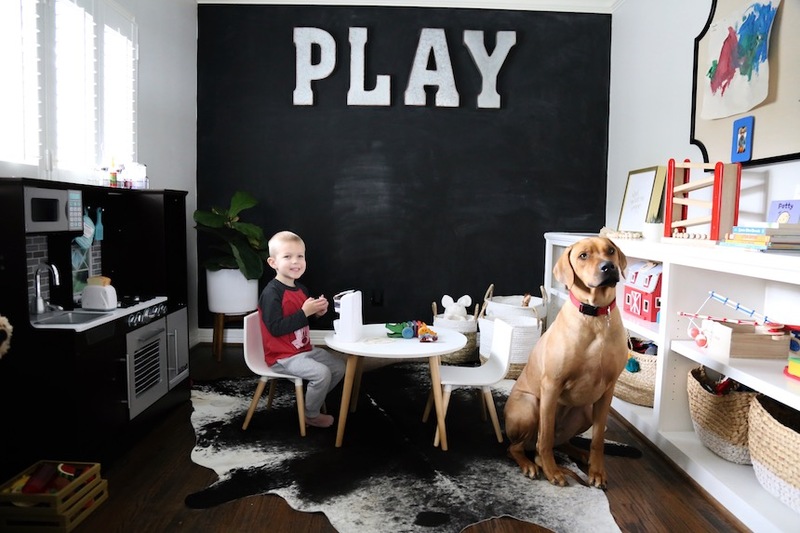 There’s a ton of wall letter options – I like the idea of wood ones because then you can paint them whatever color you want! Big thanks to The Home Depot for partnering on this post! What color/paint did you use to paint the letters?!! Love it! That wall is such a Cool idea!